Many Chronic Kidney Disease and Dialysis patients struggle to maintain function to avoid Dialysis treatments altogether or limit their time on the machine. While some patients have identified various hacks to help maintain function, it has been widely regarding as highly unlikely to increase Kidney Function once it began to decline or moved into Stage 5. However, a new medication has turned this wide assumption on its head. UPDATE: Reata Pharmaceuticals, Inc. (a clinical-stage biopharmaceutical company) has announced that the possible medication to help limit and improve Kidney Decline - Bardoxolone Methyl - "produced significant increase in Kidney Function maintained through week 36," according to the Analytics Website, The Moveefy. While this news appears promising, patients should always remain tentatively optimistic while possible breakthroughs conduct Human Testing. Reata Pharmaceuticals, Inc. focuses on identifying, developing, and commercializing product candidates for patients with rare and life-threatening diseases such as Chronic Kidney Disease. 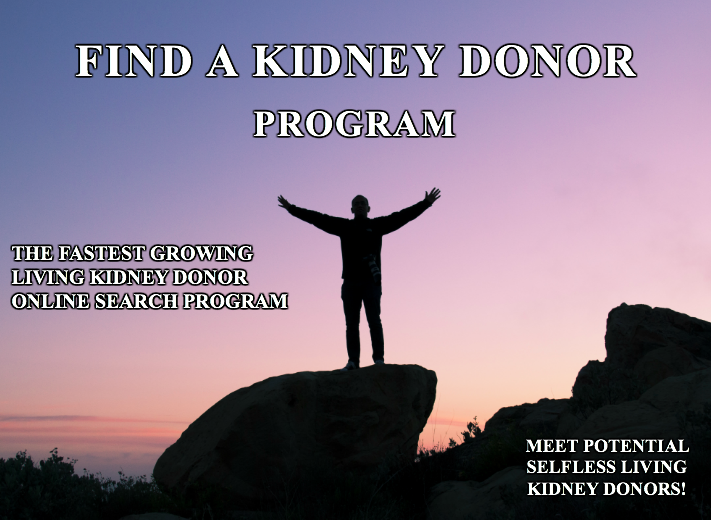 The fact that there is new and promising kidney research that is being ushered through Human Trials, is good news for Chronic Kidney Disease and Dialysis patients who would like better options to lead higher quality lives. KidneyBuzz.com will continue to keep you updated on the latest. Also, for the most cutting edge breakthroughs, real-life patient deferment insights, and non-medical tools related to possible Dialysis Avoidance Strategies, if possible, Join KidneyBuzz CONNECT today (click here)! Space is limited! ORIGINAL: Many Chronic Kidney Disease and Dialysis patients struggle to maintain Kidney Function to avoid Dialysis treatments altogether or limit their time on the machine. While some patients have identified various hacks to help maintain function, it has been widely regarded as highly unlikely to increase Kidney Function once it began to decline or moved into Stage 5. While KidneyBuzz does not endorse any possible breakthroughs, it does appear as though a new medication has potentially turned this wide-spread assumption on its head. The experimental drug, Bardoxolone Methyl, has begun to be tested in patients to determine if it can, in fact, help to rebound Kidney Function in later stage Chronic Kidney Disease patients, according to CBS News (Denver). Early results appear very promising (see video below). Lead by Dr. Geoffrey Block (Nephrologist), the medication has helped patients like Matt Hinerfeld regain Kidney Function before having to begin Dialysis. The good doctor said, after 12 weeks, Hinerfeld’s kidney function stopped declining and actually improved. Dr. Block noted, “We’ve never studied anything like this that makes kidneys better." Since beginning taking Bardoxolone Methyl, Hinerfeld says he feels normal again. He’s happy to continue taking a pill a day for as long as necessary. “I kind of have chills right now talking about it,” said Matt. “I don’t often say this, but I feel blessed." What stage of Kidney Failure are you at currently? What would you do with improved Kidney Function? Share your experience and insights with the over 72,000 Friends who have liked KidneyBuzz.com on Facebook (click here). Also, follow the over 250,000+ monthly individual viewers who visit KidneyBuzz.com regularly for the latest daily news and information which teach those with Chronic Kidney Disease, Dialysis, Kidney Transplant, Diabetes, and Hypertension how to better manage and improve their lives. Erica Ashley Jenkins (Dialysis Nurse) said, "Hello I just wanted to let you know I work in a dialysis clinic and over half of our clinic reads this page, we enjoy everything you put on and love to have new information. My patients are very grateful." Leading Large Dialysis Organization Settled Huge Fraudulent Claims. May Impact CKD Patient Care.